A Restful Place to "Take the Cure"
In the early 1900s, Cleveland Heights was billed as a restful escape from the hustle and bustle of downtown Cleveland. By the 1920s, however, area residents could find even more rest and care at one of two Cleveland Heights sanitariums. Rest Haven, “The Sanitarium in the Heights,” was located at 14274 Superior Road, now the sire of the Motorcars Toyota Dealership and Police Precinct 1. The exclusive business resided in the former Stone residence. Moritz Stone, who lived on Mayfield Road, built the home in 1909 for his son Isaac. Isaac Stone lived in the home until 1927, when he moved to 2509 Overlook Rd.. However, the business was short lived, and does not appear in the 1928 City Directory. In 1928, the house was deeded to the Heights Orthodox Congregation. Beginning in the 1930s, the Stone residence became the long-time home of the Heights Orthodox Jewish Center. 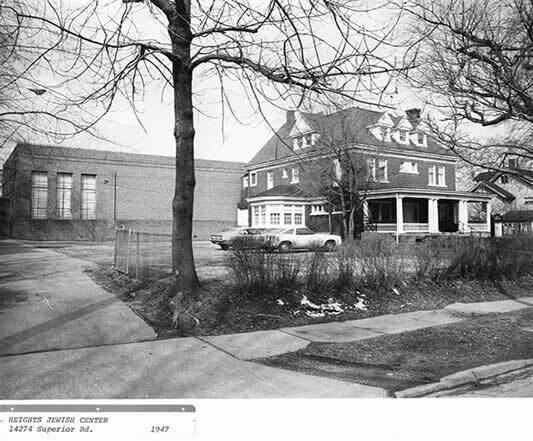 The Cleveland Polyclinic was located at 1905 Lee Road in a house that was built in 1914, on the southeast corner of Lee and Superior. Run by Mrs. J.H. Hasson, the Cleveland Polyclinic specialized in “tubercular and psychopathic cases.” Patients enjoyed the services of a resident physician, Swedish massages and a chauffeur service. 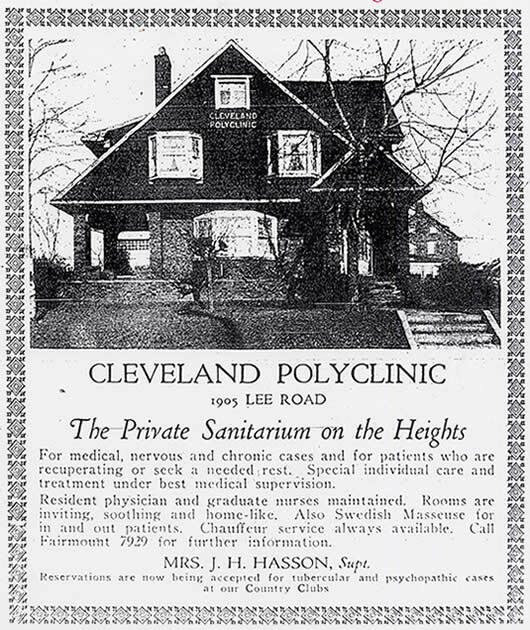 The Cleveland Polyclinic advertised in the 1928 Topics, but also was short-lived. It is not listed in the 1927 or 1928 city directories. The house was demolished in 1953 to make way for what is now Mo & Sons Sunoco. Cleveland Polyclinic Ad from Topics, 3/31/28. While both institutions did not last long, they prided themselves in keeping their patients “contented and happy” and were housed in two of Cleveland Heights’s beautiful, old homes.